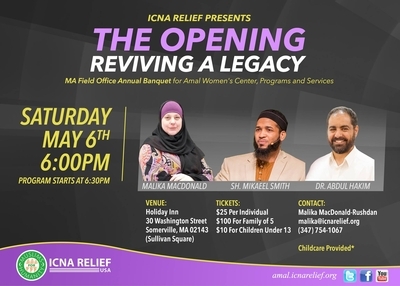 On May 6, ICNA Relief, the charitable wing of the Islamic Circle of North America, is hosting a banquet to show off its latest project, the Amal Women's Center – a shelter for women who have suffered domestic abuse. This noble cause is blighted, however, by the choice of speakers: two extremist preachers with a history of inciting hatred, Mikaeel Smith and Abdulhakim Ali Mohamed. Ali Mohamed is best known as the Imam of the mosque where the terrorist Carlos Bledsoe was radicalized. In 2009, Bledsoe opened fire on a military recruitment office in Little Rock, Arkansas – killing one soldier and wounding another. As Politico notes, "When Carlos converted to Islam, he assumed the name Abdulhakim Mujahid Muhammad, apparently taking inspiration from the imam." In his sermons, Ali Mohamed did not hide his extremism. Americans for Peace and Tolerance has uncovered recordings in which Ali Mohamed declared: "Jews believe that everyone created on the face of the earth was only created for their service. They became as vicious as the Pharaoh, throughout history till today. ... The true evil today is the existence of one state." Elsewhere, Ali Mohamed preached: "Aren't we this near for a mass battle and war against the Jews? Aren't they gathering themselves in Palestine?" Mikaeel Smith is a graduate of Dar ul-Uloom al-Madania, an Islamic seminary in New York state, that belongs to the Deobandi sect, a hardline South Asian movement whose offshoots include the Taliban. In an article published at Muslim Matters, Smith describes homosexuality as "evil" and like a "tumour." Referring to the death sentence prescribed by Sharia law, Smith notes that "when living in America, or any other non-Islamic country for that matter ... the penal law and some aspects of civil law are not to be implemented." He adds, however, that, "this does not mean that a Muslim should lose sight of what his or her belief deems to be ideal." The hosting organization, ICNA Relief, has its own history of extremism. ICNA has previously identified itself as the American outpost of Jamaat-e-Islami, a South Asian Islamist movement that carried out mass-killings during the 1971 Bangladeshi Liberation War. ICNA frequently promotes extremist speakers at its events and conventions. The Massachusetts branch of the ICNA is run by Malika MacDonald, who is also speaking at the May 6 event. 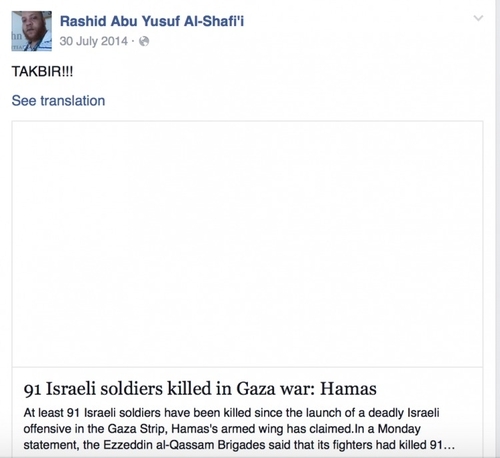 MacDonald's husband, Rashid Abu Yusuf Al-Shafi'i, has cited the death penalty for homosexuality and has praised Hamas's killing of Israeli soldiers. ICNA Relief's May 6 event is being held at the Holiday Inn in Somerville (a suburb of Boston). Call the hotel at 617-628-1000 -- ask them not to host this event and give these hate preachers the credibility of a platform.